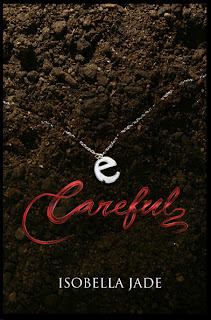 Isobella Jade's Petite Modeling Tips: Read an excerpt of Careful, my new book coming in July! Read an excerpt of Careful, my new book coming in July! I've been sick with a cold and pregnant, then traveling around the coast of Maine on a baby moon trip, and now back and hustling to fill you in with the latest on my Careful, Quiet, Invisible series. The first book Careful is due in July and here is some recent news. This summer please be ‘Careful’ on the road, please don't text and drive and please tell your friends and family not to take the risk. In my new book called “Careful,” due in July, the main character Estella dies from a texting and driving crash. The book is sort of a "Lovely Bones" meets "Gossip Girl" but with a lot more darkness and heart. 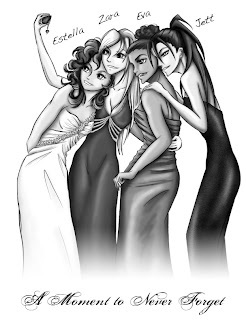 It's a sentimental series and I just posted an excerpt of the book here: http://www.isobelladreams.com/TheCarefulQuietandInvisibleSeries.html and also here's a promo illustration of the 'girls,' Estella and her friends: Zara, Eva and Jett, illustrated by my graphic novel, “Model Life,” illustrator Jazmin Ruotolo ( http://www.angeltripstudio.com/ ). I thought it would be fun to see a visual of the 'girls' together, even though the book is a novel.